This latest entry in National Geographic's series of famous writers on famous cities is like the British dish bubble and squeak: a hash of thrown together bits and pieces that might be tasty but isn't very filling. An avid reader, Quindlen (Living Out Loud, etc.) developed an acute case of literature-induced Anglophilia at an early age. As a precocious youngster, she was enchanted by the terrace houses, green squares and horse-drawn carriages of the written worlds of Daniel Defoe, William Makepeace Thackeray, Charles Dickens and Henry James's London. 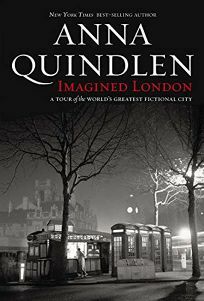 Later swept away by Virginia Woolf and the Mitford sisters, Quindlen doesn't actually visit London until her mid-40s while on a trip to promote one of her own books. Quindlen's narrative essays, while thematic, lack enough specific locations to make them consistently interesting. While she comments on the extraordinary fact that one can still find one's way around London based on 18th-century literary plot points, she doesn't take explicit literary tours herself, leaving readers to wonder to what extent the expectations of a lifelong love affair with the London of her mental library are met. Instead, Quindlen shifts the focus away from herself and toward her experience of traveling with her 20-something writer son, comparing and contrasting their generational impressions of the city. Map not seen by PW.